The term Traditional Chinese Medicine (TCM) is a modern adaptation of a medical craft that has existed for millennia in China. TCM is composed of various disciplines including acupuncture, Chinese herbs, Tui Na (body work), Feng Shui, Tai Chi, Qi Gong and more. TCM acupuncture is what is taught at most schools in North America, and is also the basis for accreditation in BC. TCM Acupuncture is the form of acupuncture encountered in the majority of Canadian acupuncture clinics. Treatments are based on the diagnosis obtained from the patient's health history, which leads to the selection of specific points to match the clinical picture of the signs and symptoms presented by a patient. Quite often, the Chinese medicine diagnosis will add a new level of understanding on top of the diagnosis from Western medicine. For instance, 'asthma' may be diagnosed in Chinese medicine as 'Liver (Channel) Fire' if your symptoms include loud wheezing, symptoms being worse when emotionally sensitive, bitter taste in mouth, being irritable, and/or abdominal distention, along with a wiry, rapid pulse and a red tongue covered by a yellowish fur. The selection of points, massage, and Chinese herbal therapy are then made to match this diagnosis. There are 12 main meridians and 8 extraordinary vessels (among others) with a total of 365 main acupuncture points and several other 'extra points.' A selection of individual points are combined in such a way that one usually receives a treatment tailored to one's own needs. TCM acupuncture has been used to successfully treat just about every condition known to humans, yet it does not always work. Results are obtained rather rapidly in cases of uncomplicated diseases, especially in their acute presentation. It can work on its own or in combination with Chinese or Western herbal therapy, naturopathic treatment, massage, and most other forms of treatment. The World Health Organization has published several findings in support of acupuncture and Chinese medicine, including the "WHO Acupuncture List" from an article in Acupuncture Today. as well as the homeopathic understanding that our body always performs to the best of its ability. All together, these approaches have the ability to break the unhealthy status quo that prevails in ill health and disease. Transformational Acupuncture is best suited when there seems to be no viable or functional answer to a situation of chronic physical or emotional pain. It is also usually helpful for those feeling frustrated or stuck in their professional, family, relationship, or personal life. Esoteric Acupuncture is sometimes described as the "Gateway to expanded healing" because it facilitates the expansion of the force field of Love. Created by Mikio Sankey through inspirational work in his practice, the acupuncture points used are combined in such a way AND with the intention of energizing the major energetic centres of the body. The patterns used are based on a deep understanding of the sacred geometry that is the energetic foundation of all things of this physical plane, 'animate' and 'inanimate'. Visualization is used as part of the treatment to consciously invite Divine light in the person's body through the images of the merkabah (a 3-D 'Star of David'). 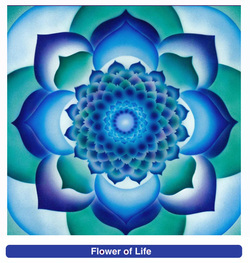 Other patterns aremeant to uphold the energy of the 'Flower of Life' which blossoms into the Qabbalistic 'Tree of Life'. Esoteric acupuncture is therefore best suited for those already committed to a spiritual path and who are still experiencing the frustrations of this physical world of dualism. It can be combined with Transformational Acupuncture and/or Qi Gong for a more thorough treatment. "No movements of Qi are identical. Ancient and modern times differ. Ancient formulas are helpless for modern diseases." Other professionals such as physiotherapists, chiropractors, and medical doctors who use acupuncture needles in their practice fall under the jurisdiction of their respective College, i.e. College of Physical Therapists of BC, College of Chiropractors of Ontario, and the College of Physicians and Surgeons of BC. Generally speaking, physiotherapists are practicing a form of acupuncture known as 'Intramuscular Stimulation (IMS). Although it is strictly speaking 'acupuncture', this approach does not rely on the healing fundamentals taught in Traditional Chinese Medicine.